Enjoy outdoor living at its best in one of our many Outer Banks beach rentals with a private pool. 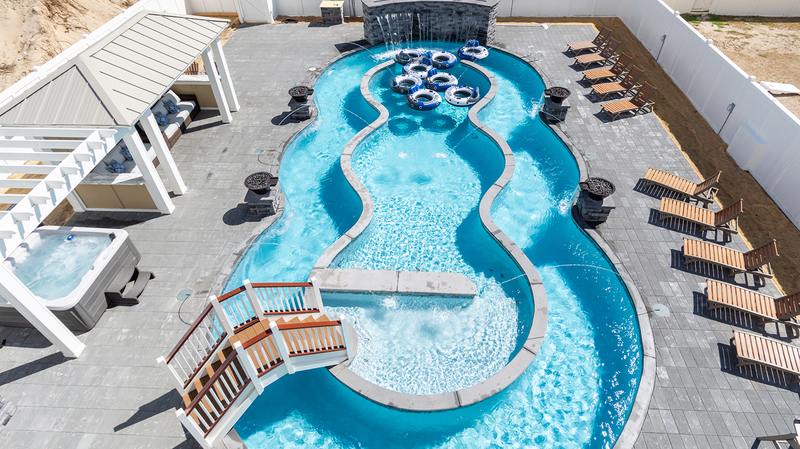 Some pools are heated, many include hot tubs, and a few even offer a lazy river! Private pools are generally open early May to mid October and range in size depending on the property, full details may be found on the home’s listing. Find your perfect vacation rental with a pool today!